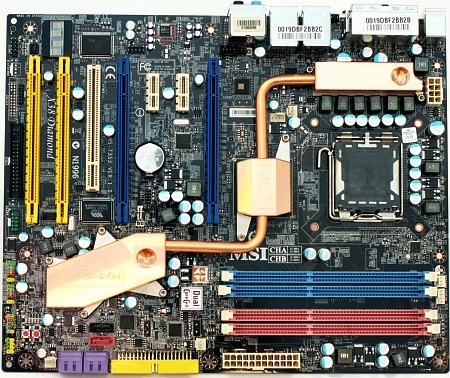 We received the first MSI motherboard, which is completely designed for watercooling. 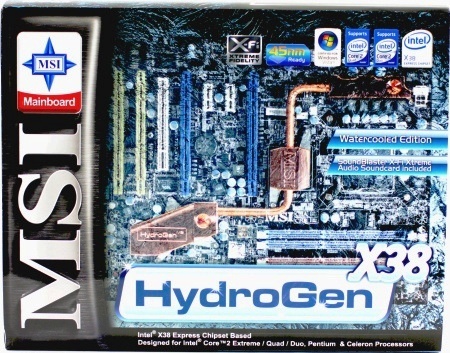 While the standard-edition has the "looping" air-cooling solution, the HydroGen Edition contains a quite simple cooling solution for water. The box design looks a bit extravagant, but style is a matter of taste. The board itself has quite unusual specificaitions, as you can see below.